Danner Instigator's combine a variety of features to give you lightweight hikers that stands out with a wide variety of features and exceptional comfort. Take these Danner Men's 47000 Instigator GTX Brown Waterproof Boots for example. They are perfect for exploring ... (see full details) (see specifications) #DNN47000. Danner Instigator's combine a variety of features to give you lightweight hikers that stands out with a wide variety of features and exceptional comfort. Take these Danner Men's 47000 Instigator GTX Brown Waterproof Boots for example. They are perfect for exploring nature and perfuming on the job...no matter how hard you work, this footwear won't let you down! These premium boots are guaranteed waterproof because they have Gore-Tex booties that keep your feet dry and comfortable. In addition the full-grain leather and Nubuck uppers allow air to transfer in to keep your feet exceptionally cool. These Instigator shoes also use rubber soles for great traction. The Approach TFX lightweight outsoles have large contact areas for surfaces, making this footwear slip-resistant. You'll also get improved acceleration, downhill traction, and sidehill traction. The beveled lugs prevent debris build-up, too. For extra abrasion-resistance, there are scuff-proof toe caps to prevent wear in places that regular work boots tend to get worn out easily. Resilient TPU shanks give you outstanding arch support when you wear these men's boots. They're built to maintain torsional rigidity, so you still have flexibility and freedom of motion. The Terra Force X Platforms are designed to heighten the heel-to-forefoot energy transfer, reducing foot fatigue. These are all features that you will notice in every step you take while wearing these brown boots. The Danner Men's 47000 Instigator GTX Brown Hiking Waterproof Boots are loaded with features to help your day run smoother. Order a pair of this fine footwear today and find out just how amazing they are. I tried on several brands that cost a little less and then tried on the Danner and I knew they were the right ones. 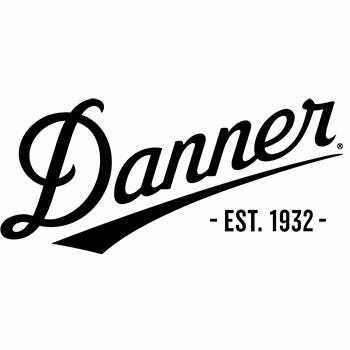 I keep coming back to Danner, best quality and comfort. A quality boot from Danner as expected. I am a plumber so it was important to me to have waterproof lightweight boots for warmer weather. I ordered med. width and they seem to run a little narrow. I bought these boots for an assembly job inside a factory. Then they put me on the docks. Then driving the trucks. In each job these babys felt good on my feet. I'm getting a new pair for bumming around. I like them alot. Danner Boots: Men's 47000 Brown Waterproof Instigator GTX Hiking Boots is being added to your cart.